Soft nubuck leather that you just don’t see everyday! Looking for something classic and simple but with the slightest bit of edge? Check out this mocha nubuck cross body bag that can transform into a clutch. Getting away from the normal leather construction and bag shape, this purse is a unique deviation that is still refined. A great neutral color makes matching easy. 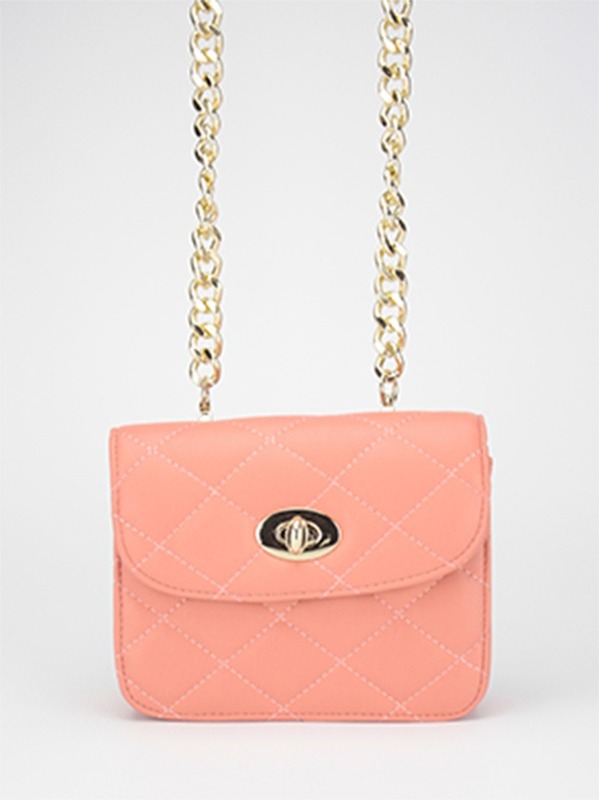 Although purses that make a statement are fanciful, a nice subtle bag will easily be your day-to-day go to. 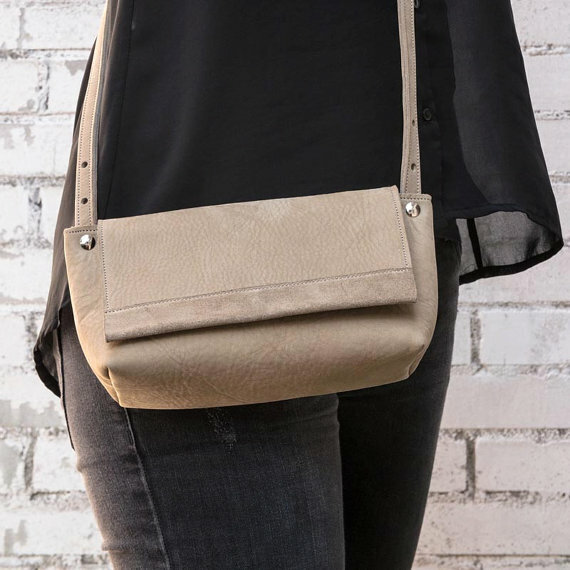 This cross body bag is your best bet at a simple bag that still carries some style and all your essentials. 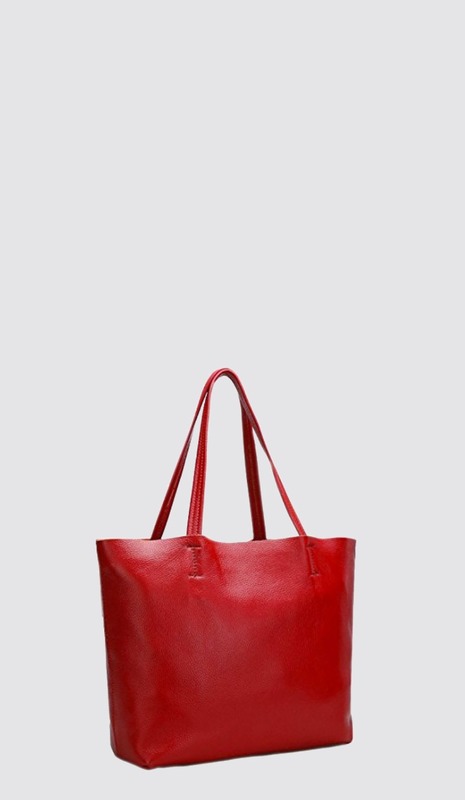 The soft nubuck material is a stylish detour from the normal leather or canvas bag. And the warm mocha color will match any outfit and easily go from spring, to fall and even warm up the winter. Marvelous mocha color that will match everything! 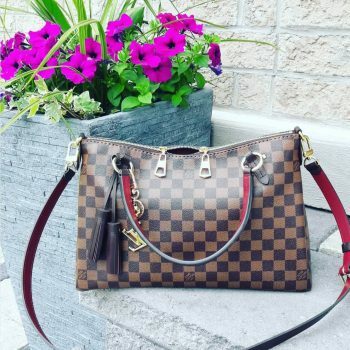 While cross body bags are everywhere, this purse will still stand out subtly! In a great trapezoidal shape it leaves the standard long square in the dust. With a simple snapping flap closure over the top of the bag, it’s definitely a one-of-a-kind style. 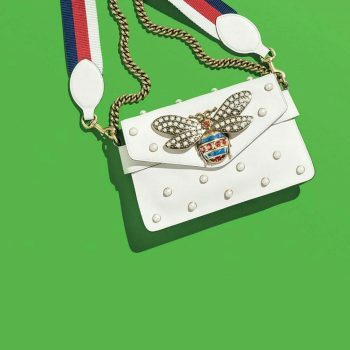 The shoulder strap also connects with metal interscrews on both of the bags to add some embellishment and just a hint of edginess. Alternative shape with unique flap inclosure! 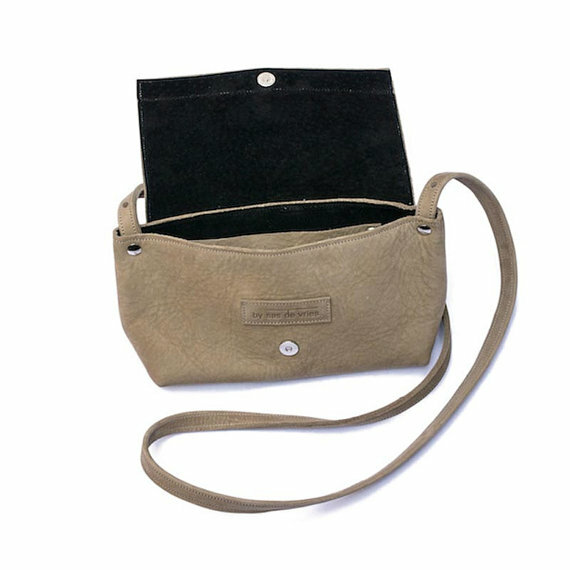 The inside of the bag is lined with a soft black suede leather. So plush on the outside and the inside! There is a small slip pocket sewn into the inside of the bag for item convenience. Its always nice to be able to grab your phone or keys swiftly, especially with a decently roomy bag. This purse is 5 inches high, 10 inches long, and 3 inches wide. Black suede lining is smooth and and stately! Beyond the gorgeous color and material, this purse is also amazingly versatile. 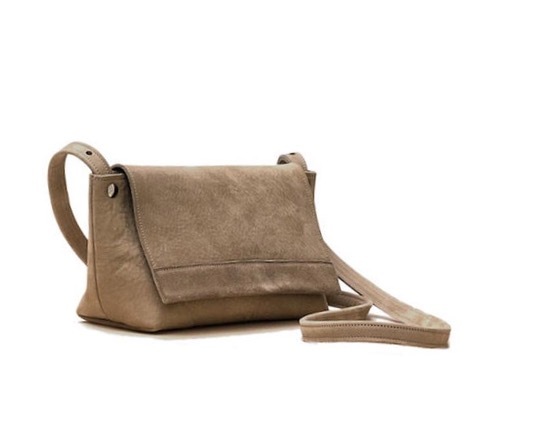 The matching strap, also constructed of beige nubuck, is adjustable in length but also completely removable. Since it connects inside the bag, there are not gaudy hooks but instead sleek interscrews, but without the strap the cross body easily converts to a clutch bag. 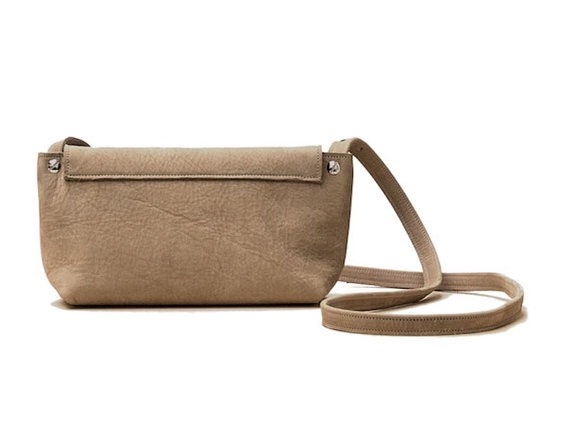 This cross body convertible bag is a diamond in the rough. Neutral in color and simple in construction it seems basic on first glance. But the wonderful nubuck leather, the sharp shape, and the gorgeous black suede lining makes this purse a dream. 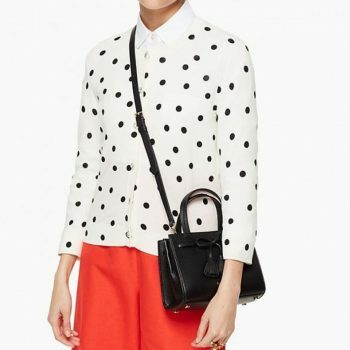 From day to night, from work to play, this bag is the ideal everyday accessory! You can find other nubuck and leather bags at Sas de Vries.